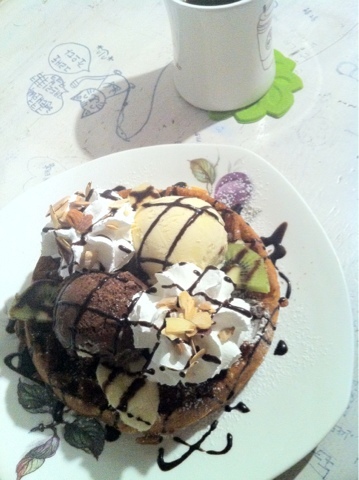 Their "waffle & ice cream (of Haagen Dazs) combo with 2 Americano coffee" is 21,000won. Not bad for a very tasty set of yummies! 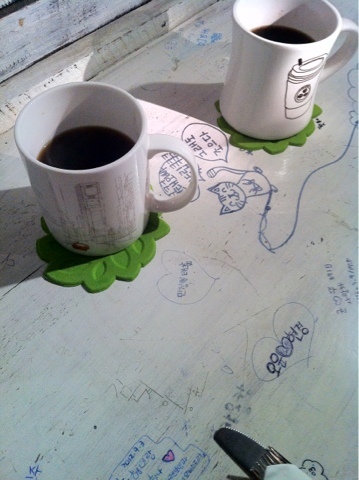 Both the coffee and waffle goodness were very very good! My hubs loved the waffle :) It's definitely one of the best ones here and who doesn't love a good ice cream from Haagen Dazs!